The Accelerated Mobile Pages (AMP) Project is an open source collaborative initiative for publishers. AMP enables publishers to build web pages for static content that render fast. AMP properties.can create mobile optimized content once and have it load instantly everywhere. The Accelerated Mobile Pages (AMP) Project is an open source collaborative initiative for publishers. AMP enables publishers to build web pages for static content that render fast. AMP properties.can create mobile optimized content once and have it load instantly everywhere. Custom elements, called AMP HTML components, make common patterns easy to implement in a performant way. 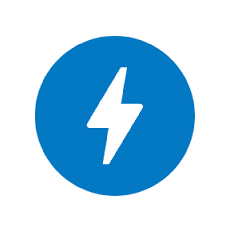 AMP JS library implements all of AMP's best performance practices, manages resource loading and gives you the custom tags mentioned above, all to ensure a fast rendering of your page. Other performance techniques include the sandboxing of all iframes, the pre-calculation of the layout of every element on page before resources are loaded and the disabling of slow CSS selectors.